You have obviously heard of eCommerce. But have you heard of preCommerce? About six weeks ago, we launched a design free version of our product catalog located at the URL for our new site which was still very heavily under construction. It’s a brilliant move which we had used multiple times for different clients during my agency days to make ripples on the search engines long before the actual launch of a new site. 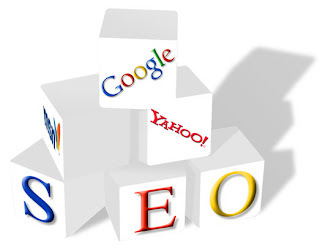 Search Engines usually take some time (it varies) before they will completely index a new domain. For instance with us, Google took a few weeks while Yahoo just went through recently. Even longer still, Google indexed all of our products just a few days ago. The benefit is that if you don’t mind starting to receive traffic to a semi-complete site you can avoid going live with zero organic results. Our take was that as long as there was a clear message to the user that we were not “open for business”, we could avoid customer confusion and disappointment, while allowing them to browse and become comfortable with our offering ahead of time. We also had the added benefit of capturing email addresses before our launch as well as watching our page rank and organic listings climb to the first page of Google due to a solid SEO strategy and diligent monitoring and tweaking. Recently we launched our site. Right now we are absolutely driving paid traffic, but a greater percent of our visitors are first timers coming in through very specific search terms due to the long SEO tail we have optimized for. The bottom line is that while no one is popping any cris’ yet, there is a very promising future ahead with immense room for growth based on a solid foundation.